There is, of course, no coach station in Marylebone. 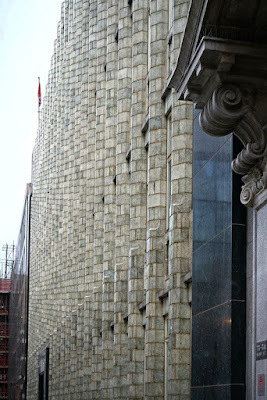 However, I discovered on a tour of the railway station that one was almost built on its site in the 1980s. Today, the station is thriving and getting busier as passenger numbers rise and new services to Oxford are added. In the 1980s, though, its future was looking bleak. The number of passengers had fallen, only local services ran from the station, the stock was aged, the station building was unlisted, and both Baker Street and Paddington had enough spare capacity to pick up Marylebone's passengers. Road travel was obviously the future, and Victoria Coach Station was busy enough to generate complaints from local residents. Wasn't the answer obvious? The station could be demolished, and the line towards Harrow converted into a high-speed bus way. Professor Peter Hall had been commissioned by the National Bus Company to investigate this idea. He had already published Making Better Use of Railways in 1976 - the better use being conversion to roads! That report had argued for the conversion of Liverpool Street Station to a busway (to the disdain of New Scientist who pointed out that among other flaws, it 'failed to consider adequately what happens at junctions'). 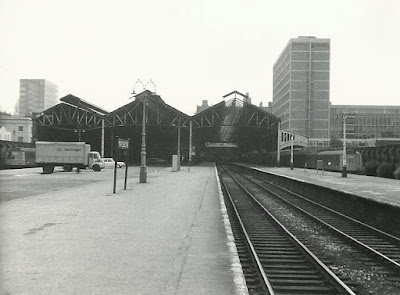 It's no surprise, then, that his 1983 report was enthusiastic about the Marylebone coach station, suggesting it could be used by quarter of a million coaches each year, with its coachway connecting to the A40. 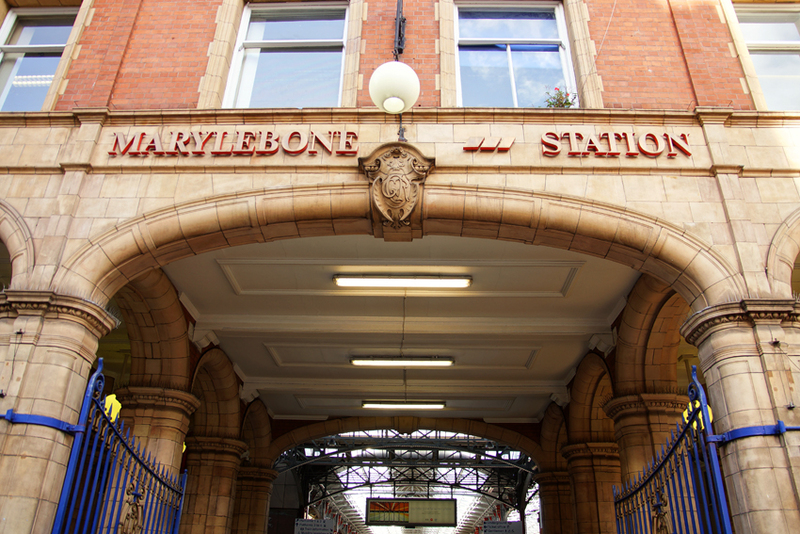 Happily, since Marylebone Station is rather lovely, demolishing it in favour of a coach terminal was not the obvious answer for everyone. The plans got as far as formal consultation, at which point there was extensive opposition. 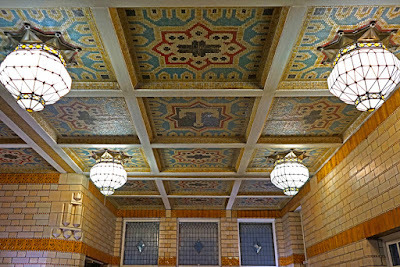 There was also concern about the practicality of these plans and the ability of Baker Street to absorb former Marylebone passengers - thanks to the introduction of travelcards, Underground passenger numbers were growing - the public inquiry was repeatedly postponed and the proposal was eventually dropped. 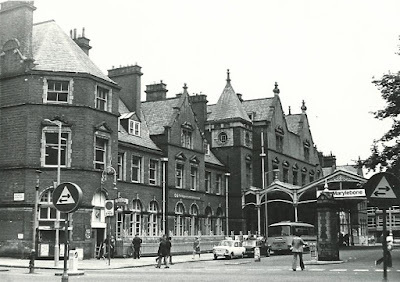 Under new management in the late 1980s, the station was renovated (funded by selling off part of its site). New trains were bought, signalling updated, commuter numbers rose, and services were extended as far as Birmingham. 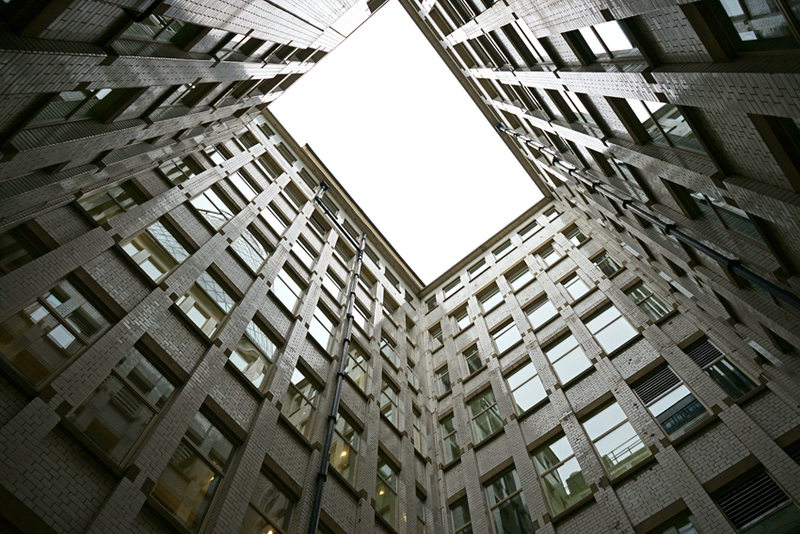 The building is now Grade-II listed. 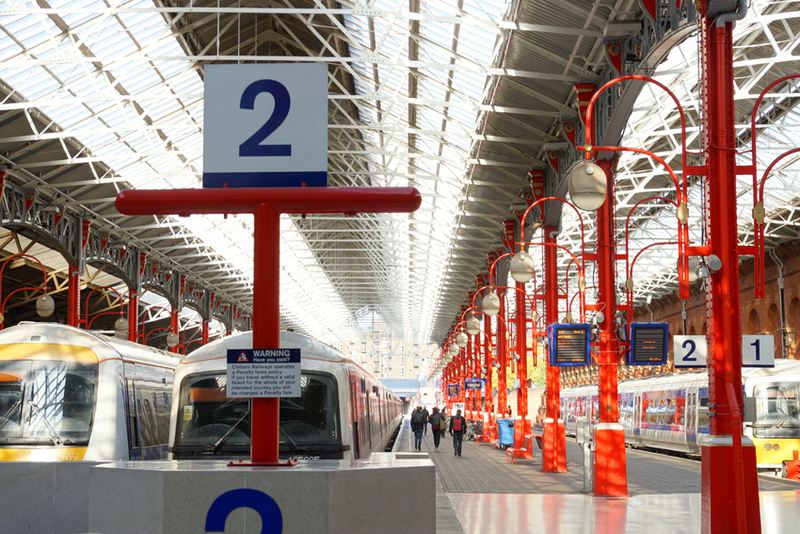 Marylebone has made the most of its new lease of life: today's lively terminal is a very long way from those dreadful years when a coach station seemed a better idea. My tour of Marylebone Station was a London Transport Museum Friends event. The story of the coach station proposal is covered in much more detail on London Reconnections - which also has a fascinating comment from the senior civil servant involved. 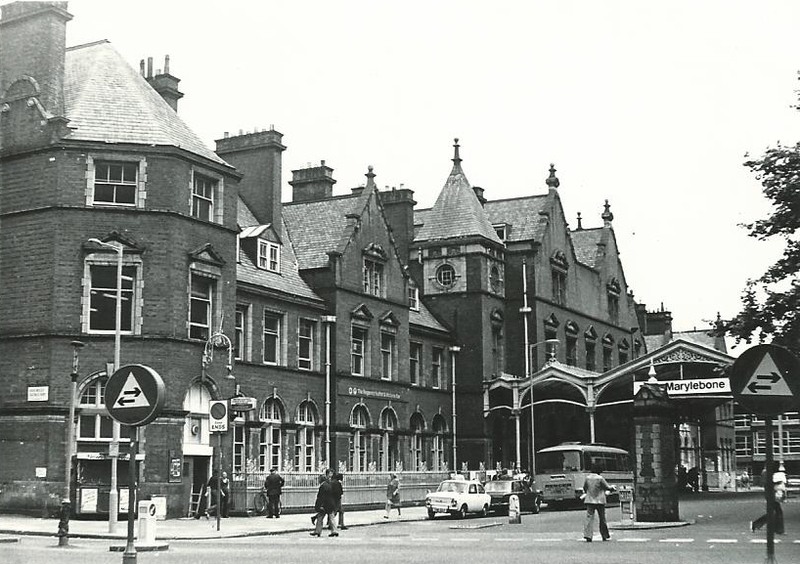 Images of Marylebone Station in 1969 and c1976 shared on a Creative Commons licence by Hugh Llewelyn. 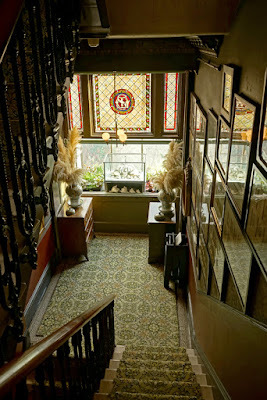 Linley Sambourne, cartoonist for Punch, made 18 Stafford Terrace his family home in 1875. 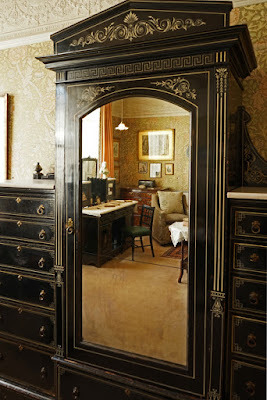 It stayed in the family, barely changed, well into the twentieth century. 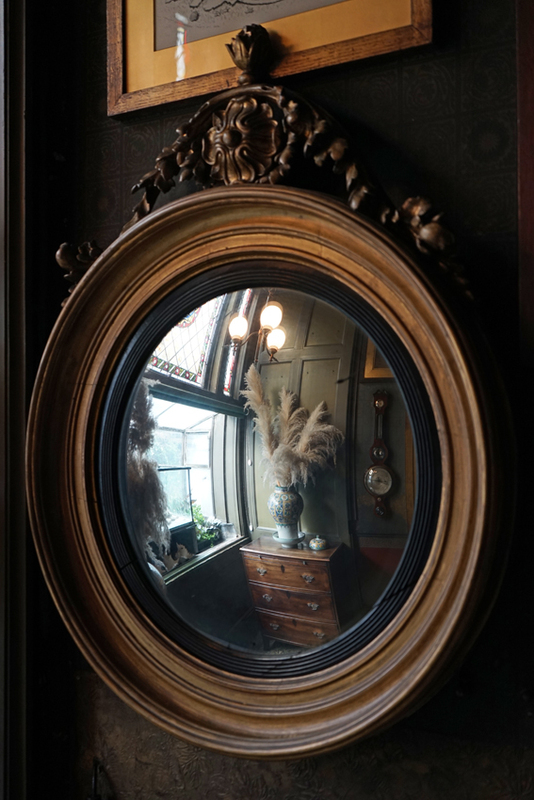 It has been open to the public since 1980, run first by the Victorian Society and now by the Royal Borough of Kensington and Chelsea. 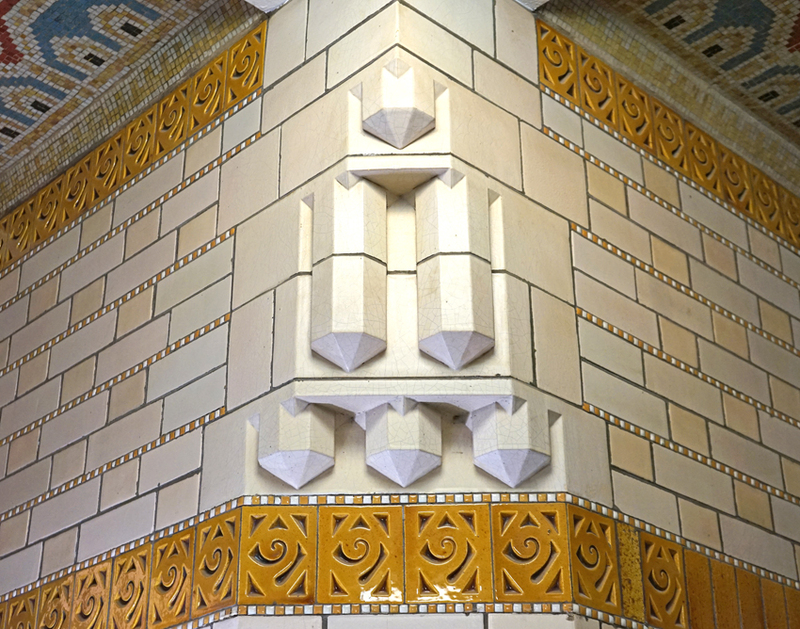 2016 is an unusual centenary year for a building, because 1916 was the middle of the First World War. 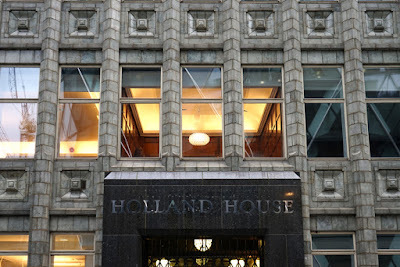 However, as the name suggests, Holland House in the City of London was built by a Dutch company, Wm. H.Müller and Co; the Netherlands were neutral. 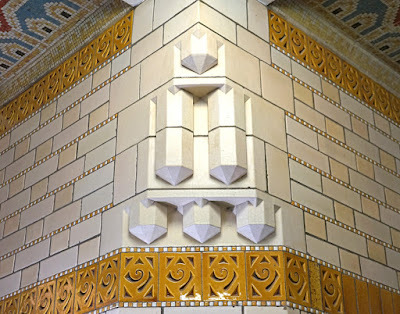 Wartime austerity and material shortages don't seem to have caused too many problems, as the building has some lovely details. 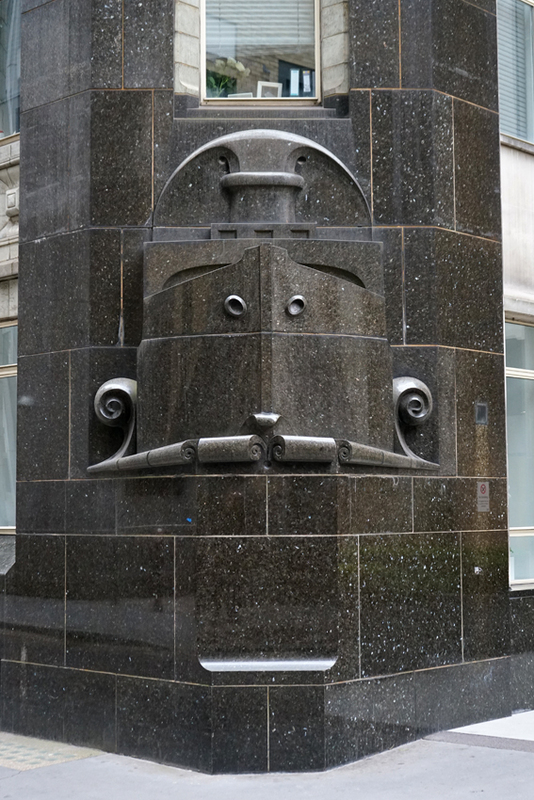 Outside, a black granite ship by Joseph Mendes da Costa reflects the company's main business of shipping - although they were also involved in other fields such as steel and mining. 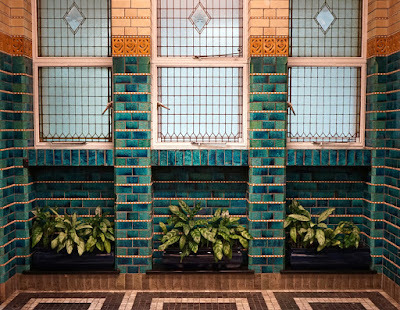 The architect was Dutch: Hendrik Petrus Berlage. A leading practitioner in the Netherlands, this is his only London work and one of the first steel-framed buildings in Europe. It is no coincidence that he had visited the United States in 1911, where he was influenced by the steel-framed buildings he saw there. However, in 1919 he stopped working with Müller and Co. 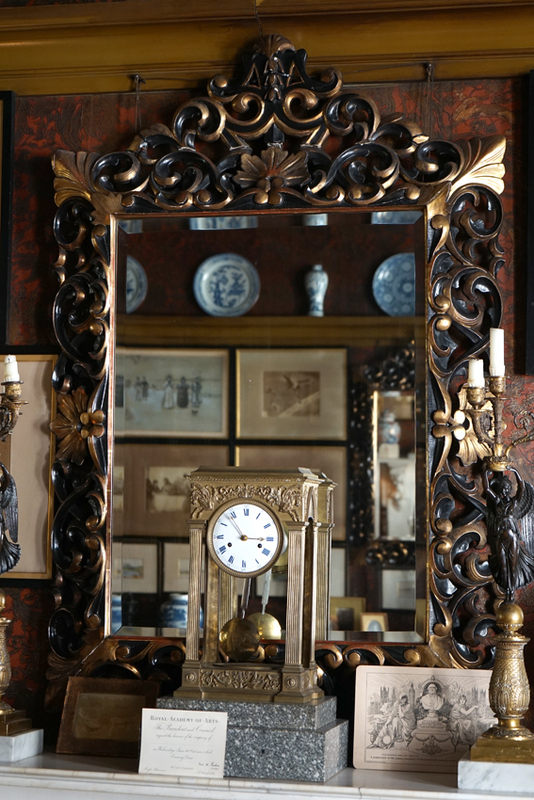 The interior was not quite complete so a Belgian, Henri van de Velde, was responsible for the mahogany panelling (with wood from one of the company's ships) and furniture. 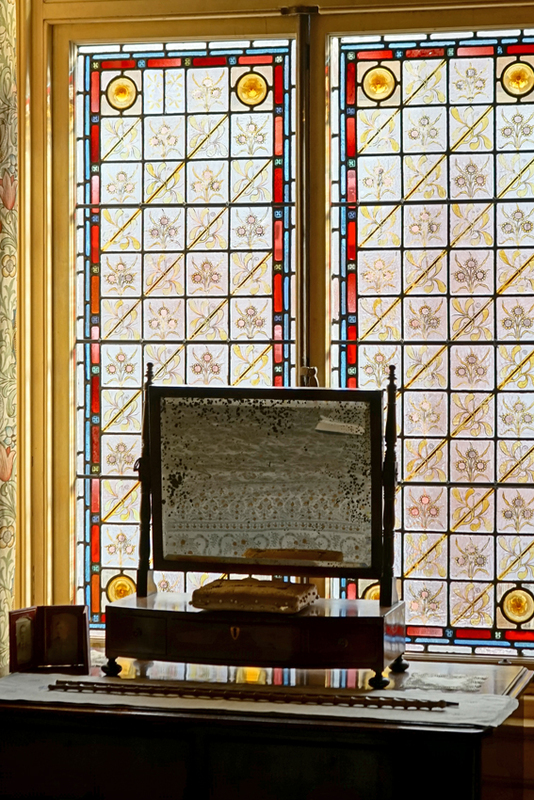 The stained glass windows and lanterns are the work of Bart Van Der Leck. He also designed the gorgeous mosaics which line the lobbies on each floor. 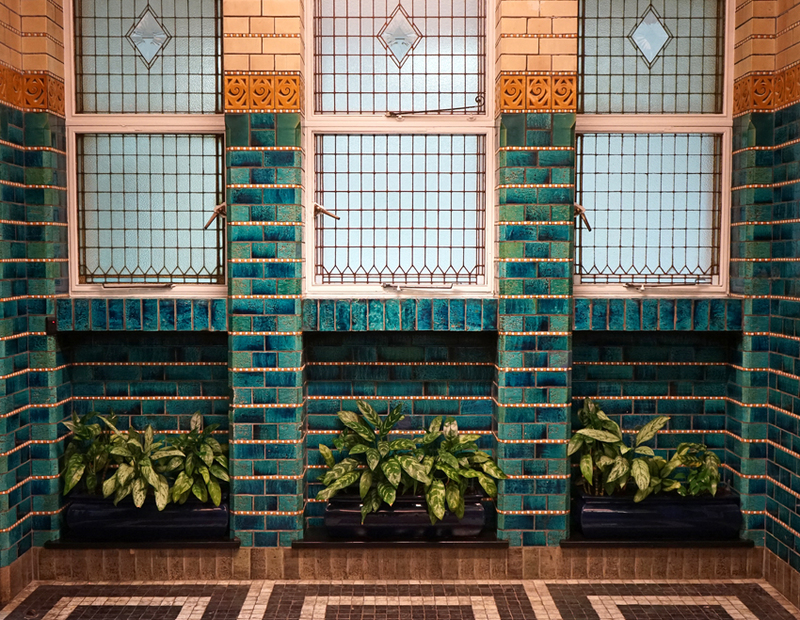 In the basement, the lower part of the mosaics is a glorious marine blue, recalling the sea which was so central to the occupants' activities. The site is somewhat awkwardly shaped: there's another building, Renown House, in the corner because its owners wouldn't sell to Müller. Berlage addressed some of the resulting issues with a central lightwell which brings daylight into the building. Müller have long since ceased to occupy the building. Subsequent occupants have removed many of the original features, but a 2007 restoration of what remains has helped to highlight how very special Holland House is. Although today, we visit stately homes for their historical interest, they were once eager to be technologically up-to-date. 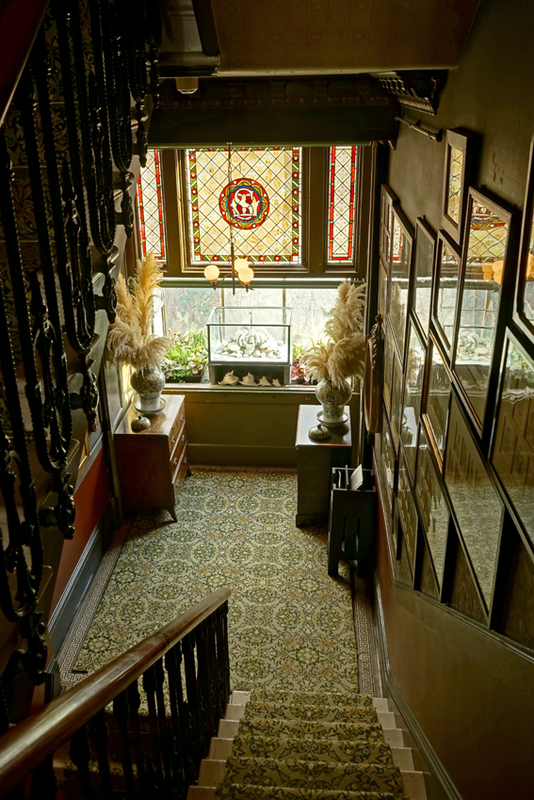 Their wealthy owners could afford new innovations such as the telephone, and these have left their traces on many properties - in kitchens and estate offices as well as 'above stairs'. The country house enjoyed a golden age at the same time that the telephone network was developing. In 1876, Alexander Graham Bell patented the telephone. That same year, Tivadar Puskas came up with the idea of a telephone exchange. 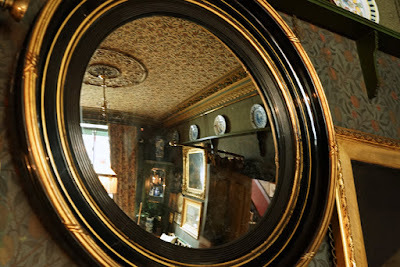 W H Preece, Engineer-in-Chief of the Post Office, brought the first pair of telephones to Britain in July 1877; the first long-distance calls in the country came the following year, when Bell himself demonstrated the telephone to Queen Victoria at Osborne House. The Telephone Company Ltd was formed, with the first trial of commercial long-distance calls taking place on 1 November 1878; the company launched with fewer than ten subscribers. By the end of 1879, it had 200. 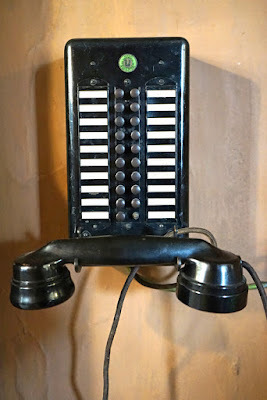 However, the telephone was still something used primarily for business, with exchanges only in major cities. At the end of 1880, the judgment in Attorney-General v Edison Telephone Company of London Ltd saw telephones placed under Post Office control, on the basis they were a form of telegraphy. The Post Office nonetheless licensed other companies for some years, as well as opening further exchanges by converting telegraph exchanges. A national network was developing, and 1884 saw the opening of public call offices where members of the public could make telephone calls. These soon evolved into telephone boxes. Perhaps an even more significant marker of the increasing use of telephones for personal calls was the introduction of cheaper calls outside business hours in 1903. Thus the telephone quickly took a key role in modern communications. 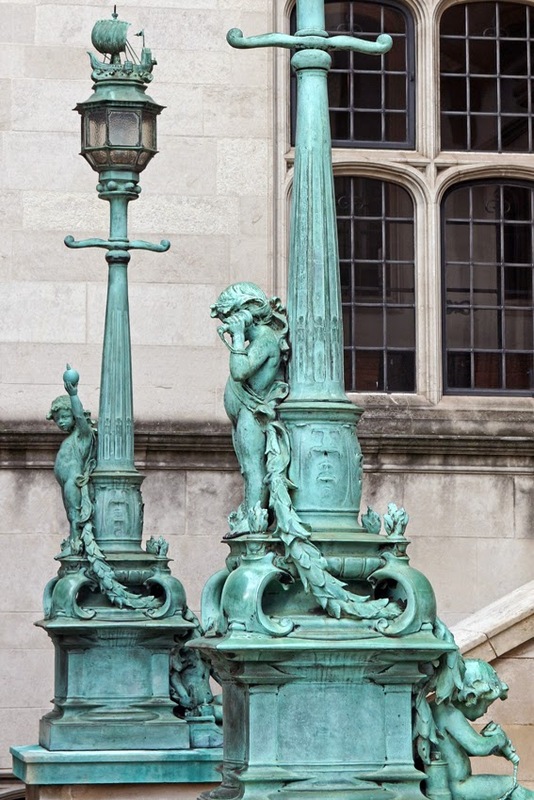 That is symbolised rather nicely by two 1890s putti having a telephone conversation outside the former Astor Estate office at 2 Temple Place! 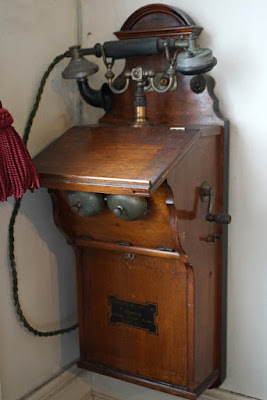 Country estates were often significant businesses in their own right, so having telephones made sense. Thus there is a telephone in the estate office at Petworth, complete with instructions. 'To call exchange place receiver to ear and listen. Give name of exchange & no. required. Replace telephone when finished. Report faults to Post Office.' 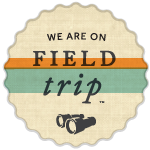 (That last instruction may tell us something about the reliability of the system.) Another factor was that these monied households could afford the subscriptions and call costs - and had similarly affluent associates, friends and relatives to receive the calls. These households were also large enough to benefit from internal telephone systems. 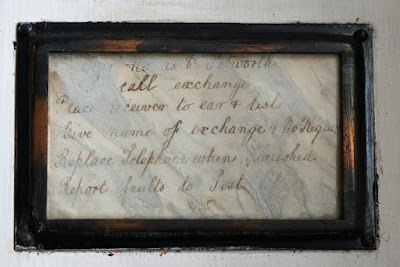 They offered a more discreet and efficient alternative to servants' bells: thus Petworth's connected to the kitchen quarters, with lines labelled by room name. Throughout the twentieth century, the network expanded, technology improved and prices became more affordable - but it took time. Telephone calls remained expensive in the 1930s, when the Courtaulds built their home at Eltham Palace. 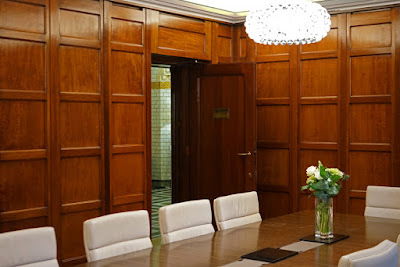 They had a private internal telephone exchange, installed by Siemens; but guests had to make external calls from a payphone. Turn your back on Lambeth Palace, and across the road towards Lambeth Bridge is a rather fine lamp post. There's no mystery about how and when it got here, because the base is decorated with the words The Vestry of the Parish of Lambeth and the date 1856. 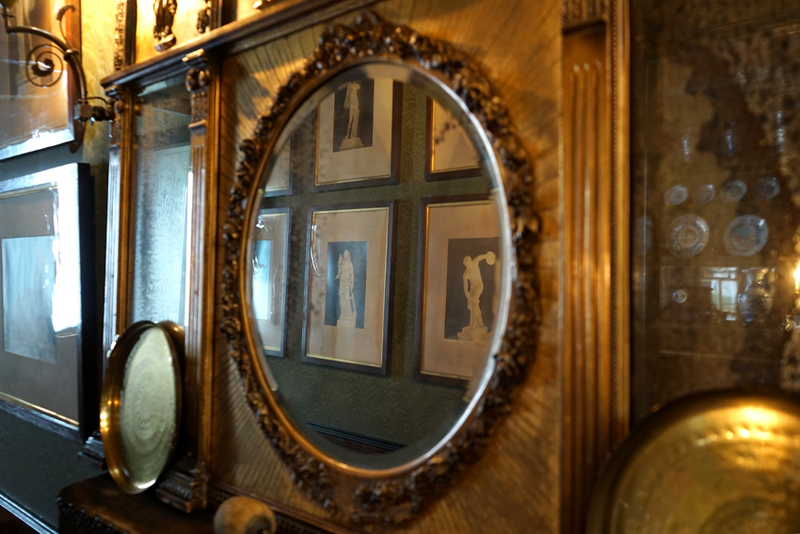 The Vestry of St Mary's had been responsible for the parish for three centuries. However, it was replaced by a secular Lambeth Vestry under the Metropolis Local Management Act 1855, so this lamp post appeared when the body was still brand-new. No wonder they wanted such prominent branding! That same Act also created the Metropolitan Board of Works, which would employ Bazalgette to create London's sewerage system. Among its achievements was the building of Albert Embankment, alongside which the light now stands. That's not the only major change to its surroundings, though: the Lambeth Bridge was not opened until 1862. Proposals to build a bridge here had been made for some time, and continued despite the building of Westminster Bridge in 1750 - especially as that led to the closure of the horseferry which used to operate here. 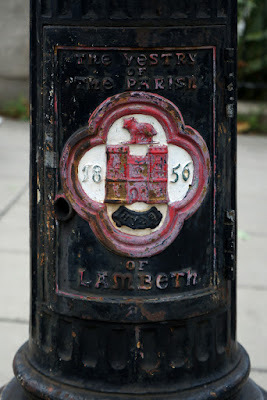 (It's still commemorated in the name of Horseferry Road, which runs from the north end of Lambeth Bridge.) However, the long-awaited bridge was already rusting badly in 1879, and by 1910 it had to be closed to traffic. Delayed by the First World War, a replacement bridge was agreed in 1924 and opened in 1932. 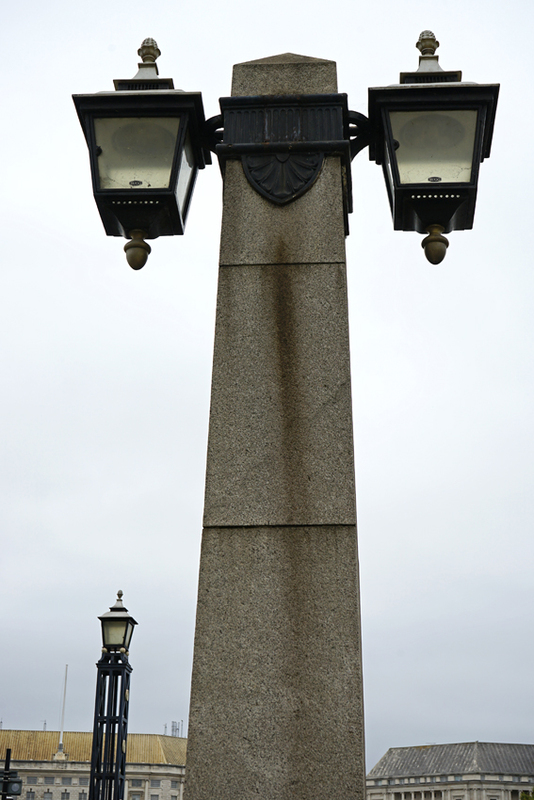 The typically 1930s lamps of the bridge are quite a contrast in style to their less starkly geometric, more ornate neighbour. As well as lettering, it features arms including a rather stout, blobby creature which is in fact a lamb. Yes, it's a pun on Lambeth. 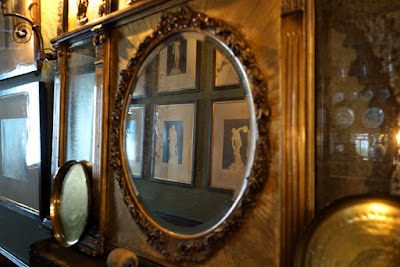 The palace below is self-explanatory, the scroll with the word HYDE less so. Today, the lamp is powered by electricity. 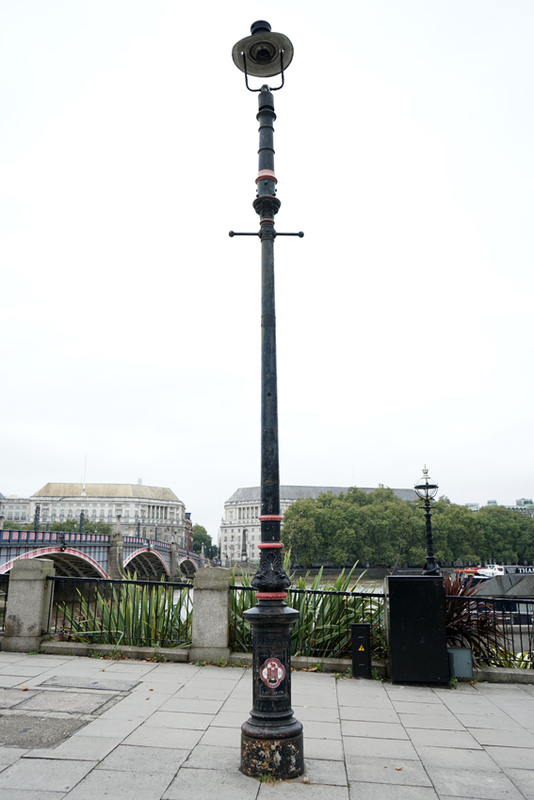 However, it originally ran on gas provided by the London Gas Co whose works were a little way upriver near Vauxhall Bridge: notice the crossbars which allowed the lamplighter to secure his ladder. 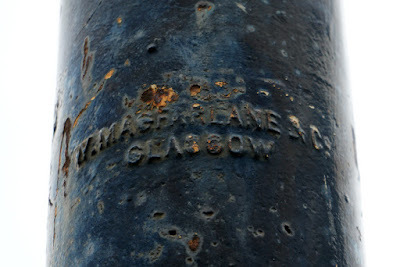 And as for who manufactured this cast-iron lamp? 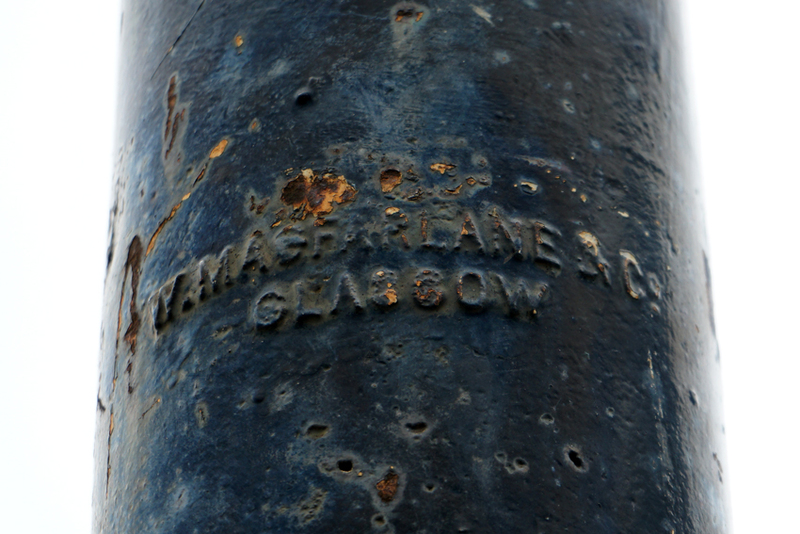 It's no surprise to find the name of the ubiquitous W Macfarlane of Glasgow.